You can use the break statement to break out of a loop or switch statement, resuming execution at the endpoint of the enclosing statement. You can use break within a switch statement or within while, do, for or foreach loops. You can use the continue statement to jump unconditionally to the endpoint of the body of statements enclosed within a loop. This will either cause execution to continue with the next iteration of the loop or will continue execution after the loop if the final iteration was being executed. 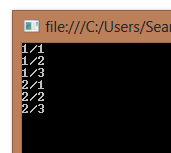 You can use continue within a while, do, for or foreach loop. 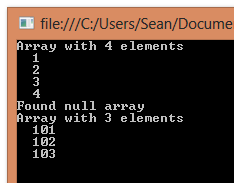 You can’t use the foreach statement to directly iterate over all elements in a jagged array. You can, however, iterate through the jagged array using nested foreach statements. Each foreach statement independently iterates over one dimension of the jagged array. 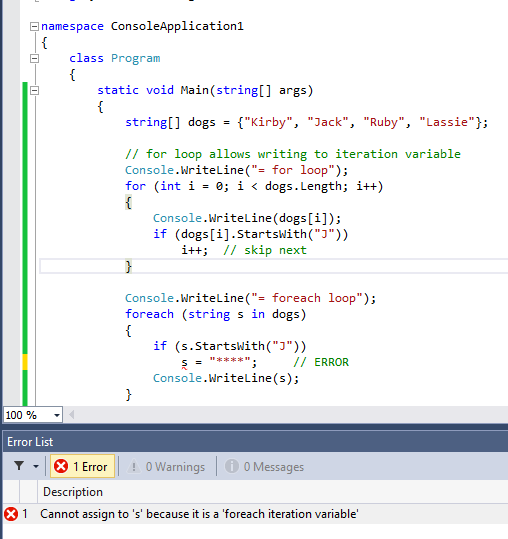 Within a foreach loop, you capture an iteration variable when you save it for later use. 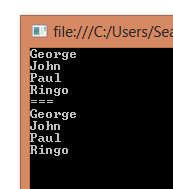 In versions of C# earlier than 5.0, this led to problems and unexpected behavior. What ended up being captured was multiple copies of the last value of the iteration variable. This has been changed in C# 5.0 so that you can capture an iteration variable within a foreach loop and get the expected behavior. Unlike the for loop, the iteration variable in a foreach loop is read-only. Attempting to assign a value to the variable within the body of the loop will result in a compile-time error.